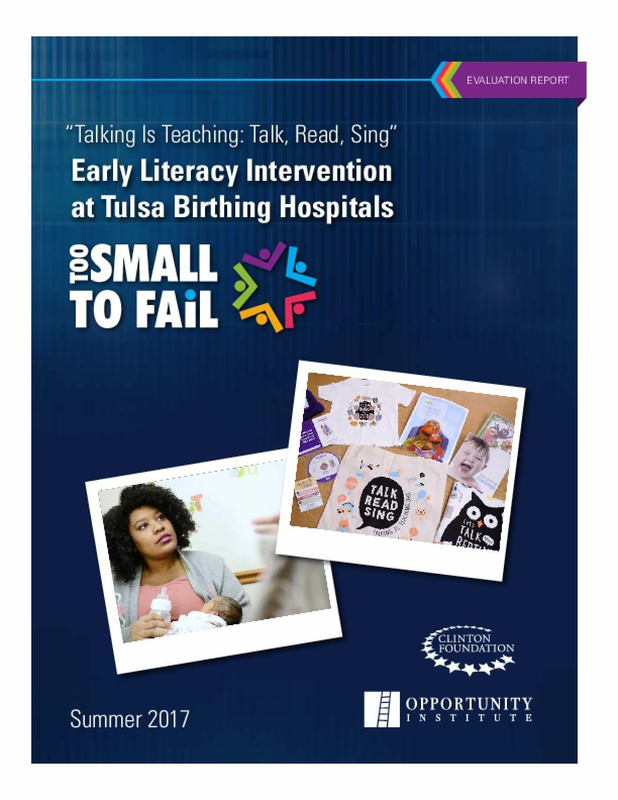 Too Small to Fail is leading a public awareness and action campaign to promote the importance of early brain and language development and to support parents with tools to talk, read, and sing with their young children from birth. Today, almost 60 percent of children in the United States start kindergarten unprepared, lagging behind their peers in critical language and reading skills. Through partnerships with pediatricians, hospitals, faith-based leaders, community based organizations, businesses, entertainment industry leaders, and others, Too Small to Fail is meeting parents where they are to help them prepare their children for success in school and beyond. Whether at the pediatrician's office or the playground, Too Small to Fail aims to make small moments big by creating opportunities for meaningful interactions anytime, anywhere.